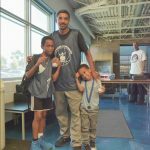 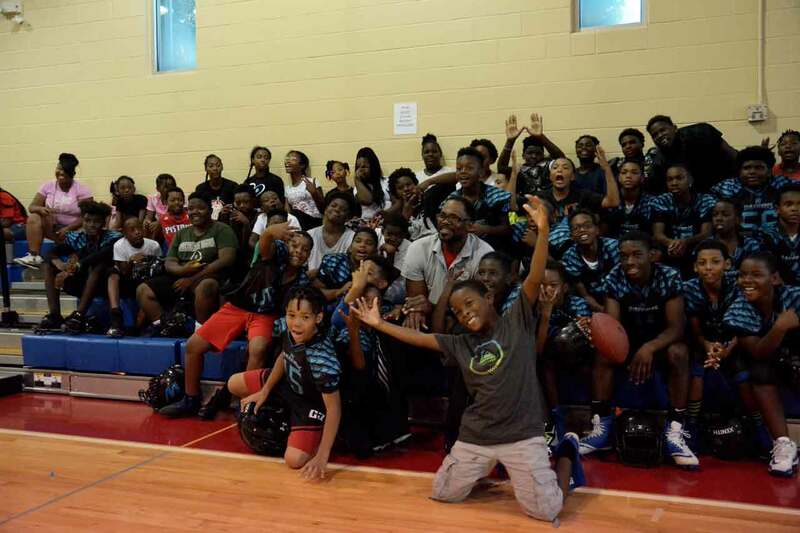 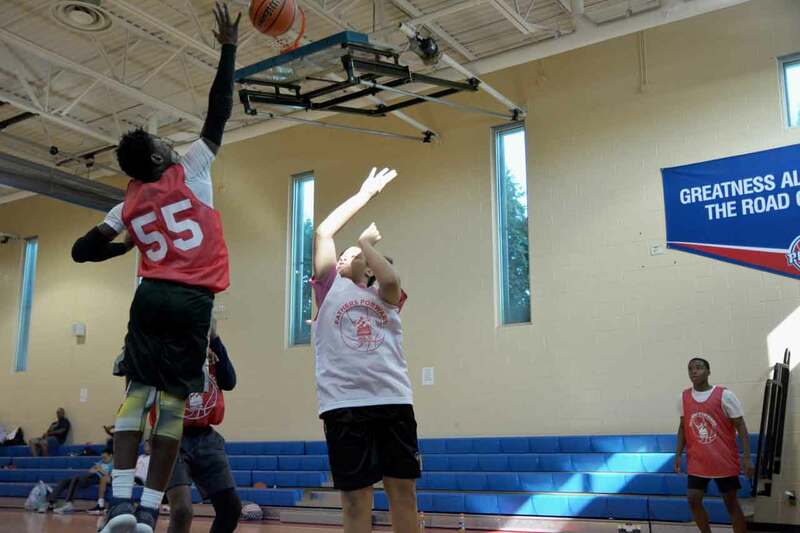 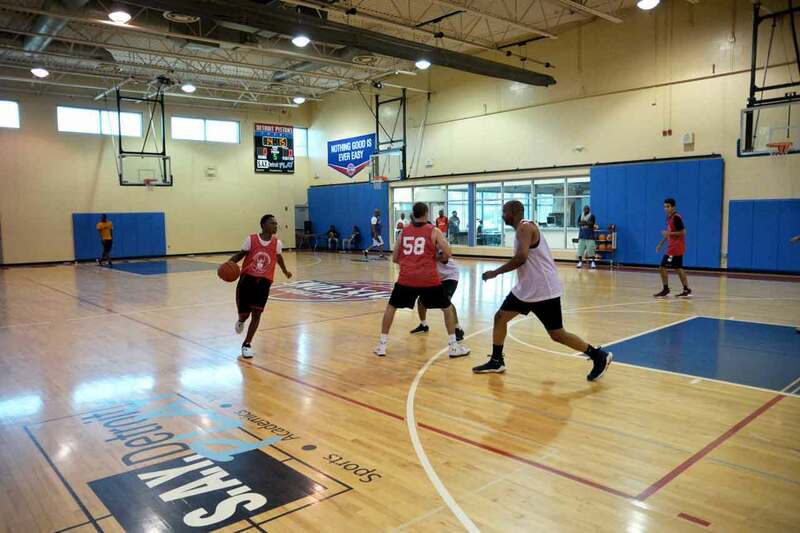 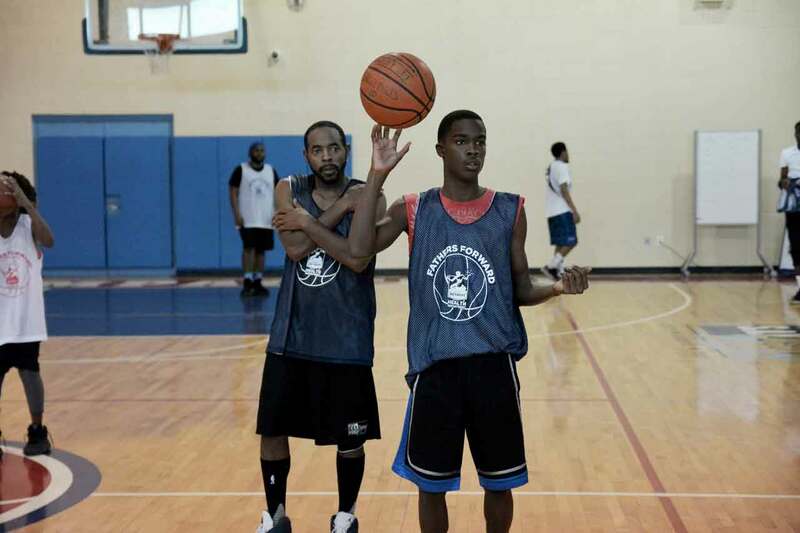 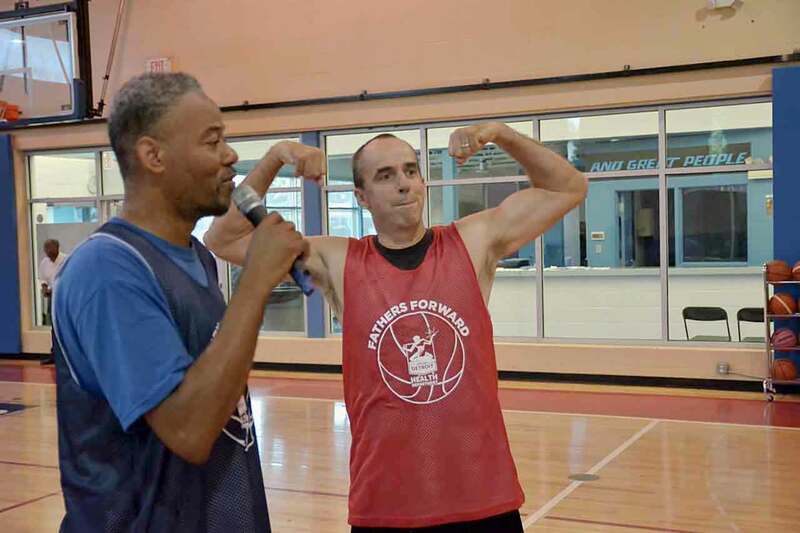 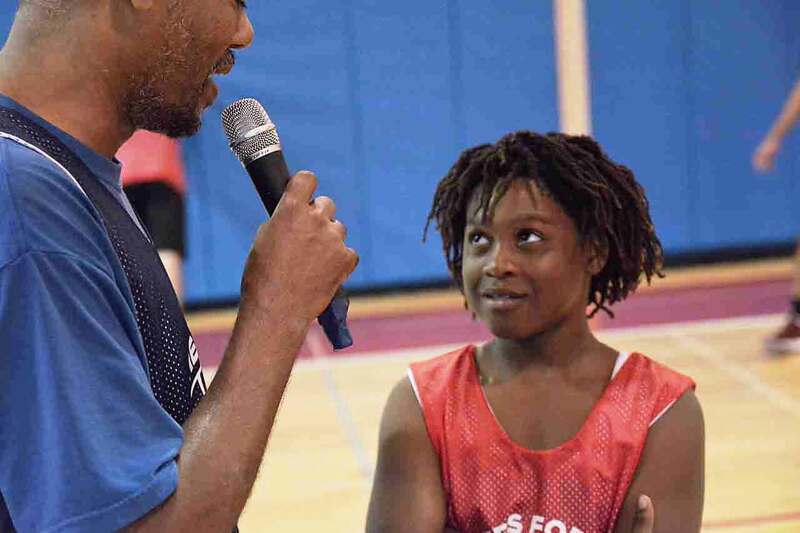 With a grant from the Detroit Health Department, The Detroit Pistons gymnasium at the SAY Detroit Play Center played host to a father-son basketball tournament on September 15th. 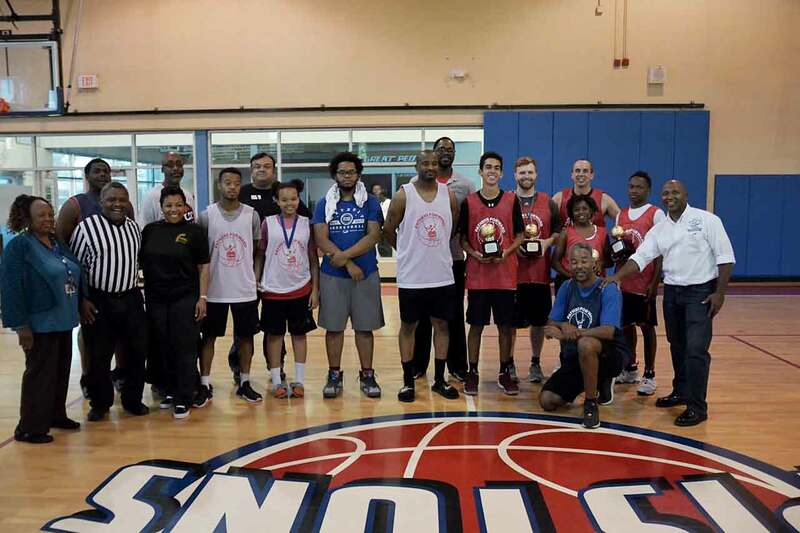 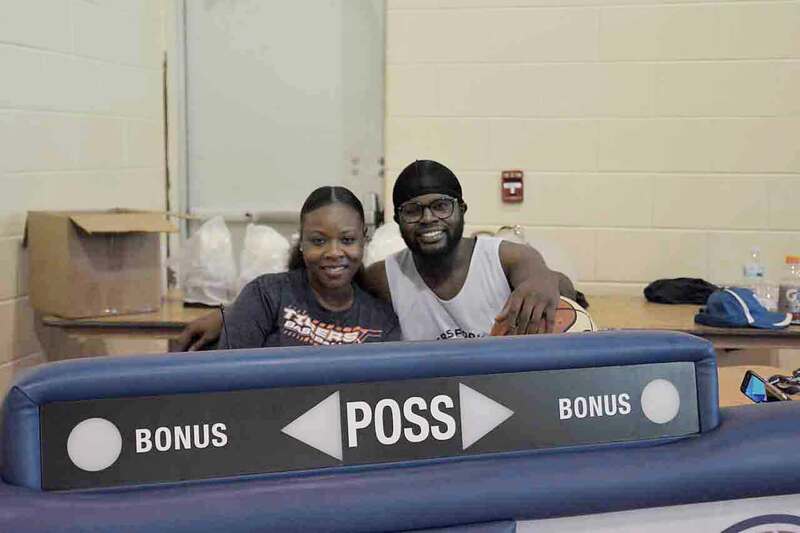 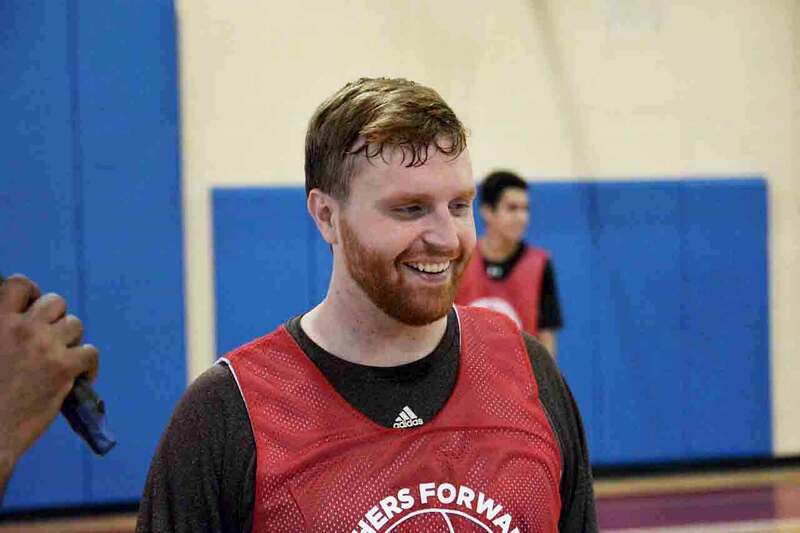 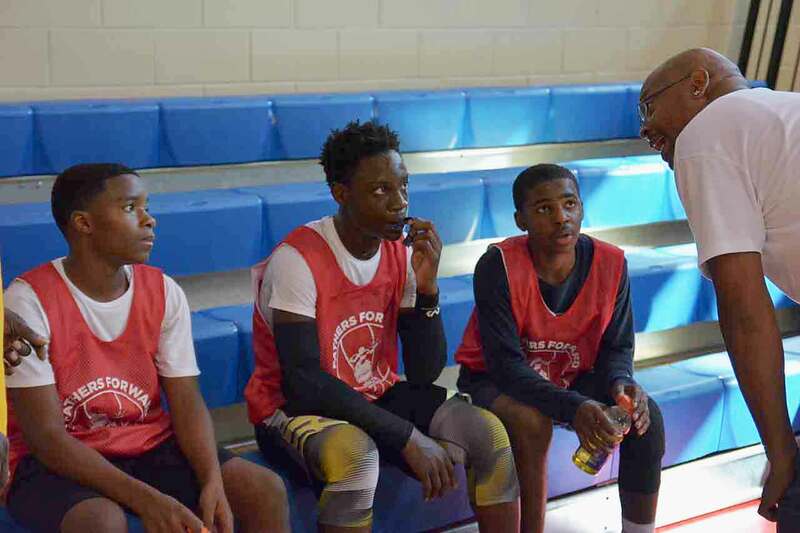 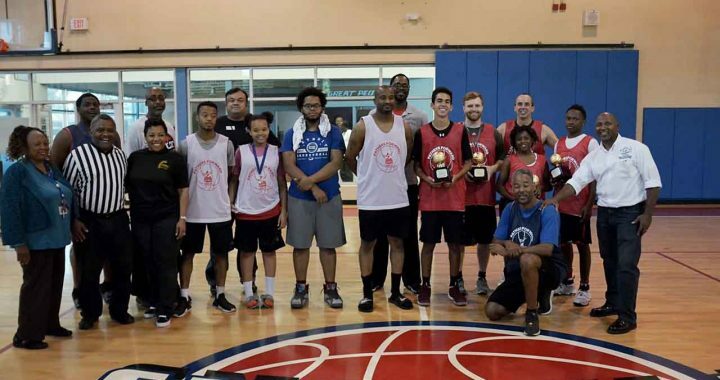 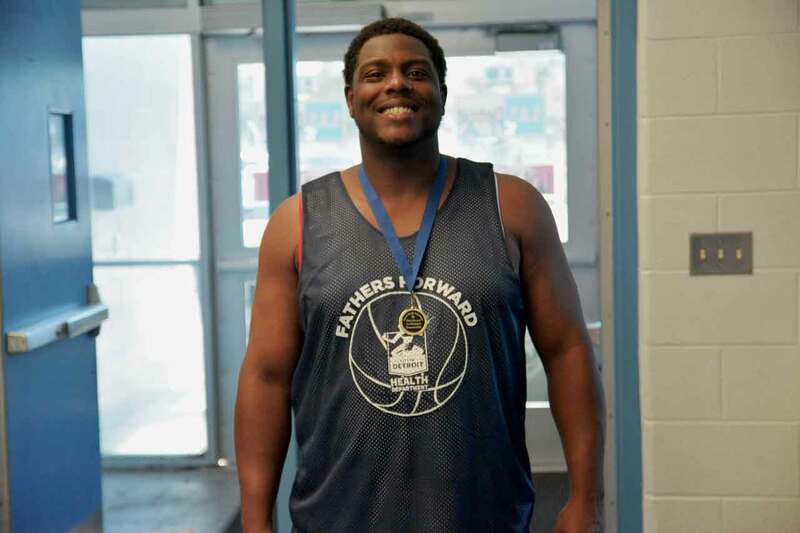 Sponsored by We RUN Tings, the Detroit Wayne Mental Health Authority, the Wayne County Fatherhood Initiative, and Family Assistance for Renaissance Men, Dad-And-Me 3-ON-3 celebrated dads and dad-figures in Detroit and saw eight three-man teams compete for the trophy. The winning team was made up of Mike Tenbusch, SAY Play Director, his son Jake, SAY Play basketball coach Danny Boylan, and student founding members Jermaine Moore and Mathieu Bartley. 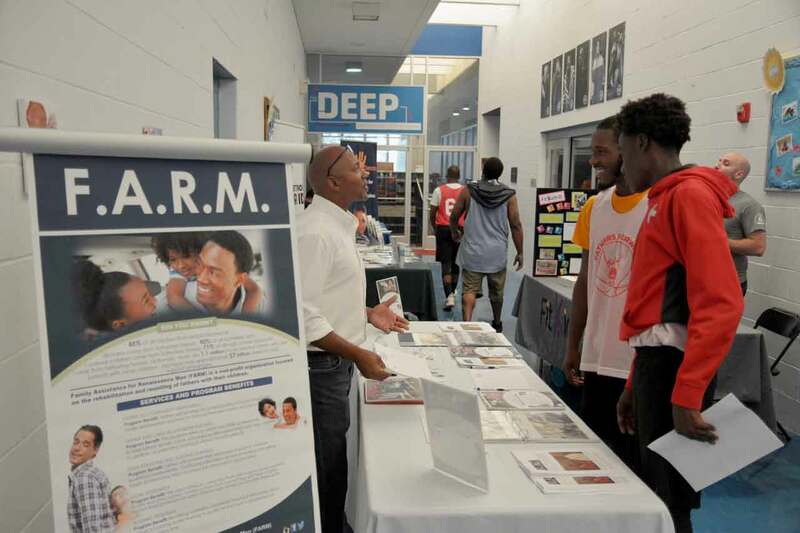 A special thank you to Bomani Gray of the Health Department, special guest Grant Long, former Detroit Piston, and our sponsoring partners who provided information on critical resources for fathers throughout the morning. 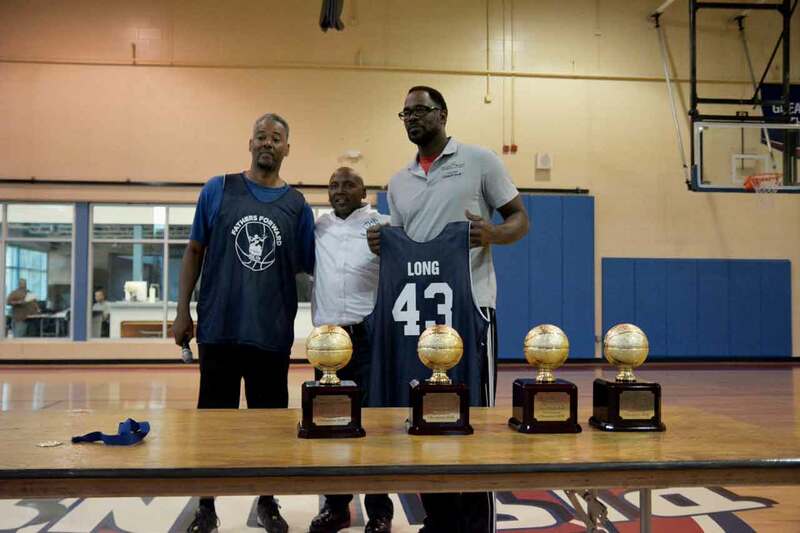 Grant Long with Warrior Nation!